Otis is part of a HUGE ongoing series of Amigurumi CALS Hosted by CAL – Crochet A Long!!! All in multiple languages. So, if you haven't already, make sure you join their Facebook Group here, then SIGN UP for the ​FULL EVENT HERE or the Individual Event for Otis Giraffe Here. If you'd rather connect personally with just me, sign up to my page event for Otis Giraffe CAL Here, or join one of my Crocheting Treasures groups/communities on Facebook, Ravelry or Google+. 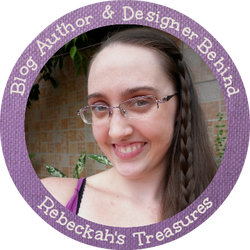 PLUS: Join me tomorrow (Tuesday, April 25th, 2017) at 3:00 P.M. (EST) for FACEBOOK LIVE on my business page, Rebeckah's Treasures. ~SEE PART 1 HERE~ for Abbreviations & Important Notes. 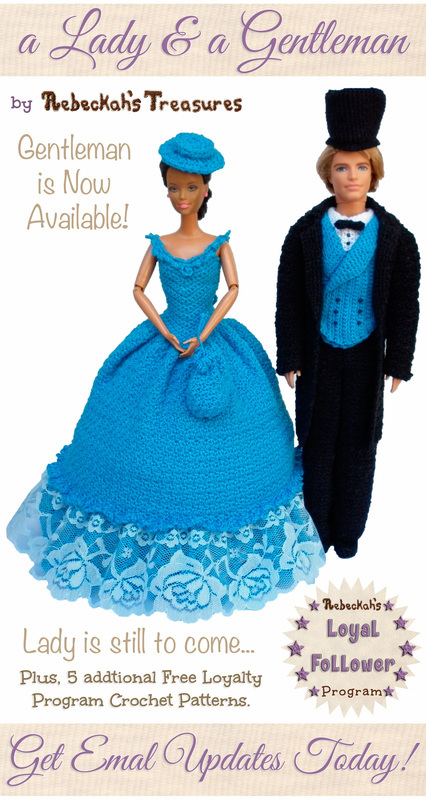 ~SEE PART 3 HERE~ to Crochet the Limbs (arms, legs & tail). ~SEE PART 4 HERE~ to Crochet the Body. ~SEE PART 5 HERE~ to Crochet the Facial Features (horns, ears, eyes, muzzle). You may like to watch the video tutorial to see the join-as-you-go for the head in action and to see how to sew the head to the body too. ​Or if you prefer, you can read and follow the crochet pattern below. It's totally up to you! Remember you can download PART 6 (in multiple languages), including the written crochet pattern for the head. It includes links to this post and video tutorial on YouTube! *Find it after the pattern instructions below, and after the next picture of ME with Otis & April. Queue it, LOVE it, and Add your Otis Giraffe projects to Ravelry here! Video is in English, but auto-translate subtitles and closed captions in your favourite language are available. Keep in mind the translation may be a little off as it doesn't always capture my exact words. ALSO, PLEASE NOTE: If you view this video tutorial on YouTube, there are time-jumps in the table of contents that will take you directly to ANY round you need extra help crocheting, or seeing in action. ADDITIONALLY: The video tutorials are for the join-as-you-go method, so just change any “join” stitch to a regular sc 1 or sc2tog (depending on the stitch being worked) in its place. Same goes for for the eyes, if you're using safety eyes instead. Make one in MC. Work giraffe head in continuous rnds from the top-down. Do not turn at the end of rnds. *Side facing you = WS. Follow the TRADITIONAL or JOIN-AS-YOU-GO instructions as desired. Use the tips to mark stitches for easy sewing later! Rnd 2: 2 sc into each st around (12 sts). Rnd 3: #8-9 (right) + #17-18 (left). Rnd 4: #9 & 13 (right) + #21 & 1 (left). Rnd 5: #10 & 16 (right) + #25 & 1 (left). Rnd 6: #13-18 (right) + #31-35 & 1 (left). Rnd 3: [Sc 1, 2 sc into the next st] 6 times (18 sts). Rnd 4: [Sc 2, 2 sc into the next st] 6 times (24 sts). Rnd 5: [Sc 3, 2 sc into the next st] 6 times (30 sts). Rnd 6: [Sc 4, 2 sc into the next st] 6 times (36 sts). Rnd 7: [3 sc into the next 2 sts, sc 16] 2 times (44 sts). Rnd 8: #18-20 (right) + #43-44 (left). Rnd 9: #6-8 (left) + #12-14 (right). Rnd 10: #7 & 11 (left) + #13 & 17 (right). Rnd 11-12: #6 & 11 (left) + #13 & 18 (right). Rnd 13: #8-10 (left) + #14-16 (right). Rnd 8-9: Sc 48 – 2 rnds (44 sts). Rnd 10: [2 sc into the next 2 sts, sc 20] 2 times (48 sts). ​Rnd 13: #9-16 (paired with top 8 muzzle sts). Rnd 14: #7-8 (left) + #17-18 (right). Rnd 15-16: #7 (left) + #18 (right). Rnd 17: #7 (left) + #18-19 (right). Rnd 18: #7 (left) + #19 (right). Rnd 19: #8 (left) + #18 (right). Rnd 20: #7 (left) + #16 (right). Rnd 21: #6 (left) + #13 (right). Rnd 22: #5 (left) + #12 (right). Rnd 23: #4-8 (paired with bottom 7 muzzle sts). Rnd 11-18: Sc 48 – 8 rnds (48 sts). *Using Safety Eyes? Mark sts #8 & #16 on rnd 11, so you know where to attach them later. ​Attach Safety Eyes NOW to stitches #8 & #16 of rnd 11 if you are using them. Rnd 19: [Sc 6, sc2tog in BL] 6 times (42 sts). Rnd 20: [Sc 5, sc2tog in BL] 6 times (36 sts). Rnd 21: [Sc 4, sc2tog in BL] 6 times (30 sts). Rnd 22: [Sc 3, sc2tog in BL] 6 times (24 sts). Rnd 23: [Sc 2, sc2tog in BL] 6 times, sl st join to the first st of rnd, f/o (18 sts). Using the ending tail from the body and the whipstitch, sew the giraffe’s head to its body using 2 whipstitches per stitch space to secure it. Make sure that the last stitch of the body lines up with the last st of the head (stitches #9-13 = body-front; stitches #18-4 = body-back; stitches #5-9 = head-front; stitches #14-18 = head-back). After every few stitches, pull tight. Before you sew the opening closed completely, stuff the giraffe’s neck a little bit more. Finish sewing the opening closed. Tie off. Next, using the whipstitch and the respective ending tails of each piece, sew the muzzle (stuff before sewing up completely), ears (fold ears in half first, then sew the flat side into place), horns (the overhanging side is the front) and eyes onto the head. Use the tip boxes to help with positioning. Finally, attach all the spots wherever you’d like to see them on the giraffe in the same fashion. Thread the ending tail of the spot in question onto a yarn needle. Then, use the whipstitch to sew the spot into desired position. Tie off and weave or tuck ends into the body to hide them. Repeat for all spots. ​Remember you can also download part 6 below. ​Have horns, ears, eyes, muzzle and three small + four big spots at the ready. *Work ONLY in Head Stitches unless directed otherwise. Remember, as the spots and facial features are joined, hook goes through the head stitch first. Plus, find IMPORTANT tips before the start of facial feature attachment rnds to help with placement! Horns are attached over the course of 4 rnds. For rnd 3 attachment, hold the horn upside-down to the BACK of work, so the RS are pressed together. As horns are attached, pull the horn tails into the head. For each joining stitch, work through 2 layers of stitches at a time, where the hook goes through the head stitch first (WS to RS – layer 1), AND then through the horn stitch (see note below – layer 2). Once both stitches are on the hook, complete the sc, hereby joining the horn to the head. Note: For the join, hook is inserted into the horn stitches from the RS to WS for the first two rounds of attachment. After which, switch to inserting the hook from the WS to RS for the last attachment rounds. Also, since rnds 3-6 are increase rounds, a few head stitches increase as horns are joined. Rnd 3: [Sc 1, 2 sc into the next st] 2 times, sc 1. Start attaching right horn → hold horn so the overlap tip point towards the stitch marker and to your right – sc 1 join the next head st tog with the 2nd from last horn st; sc 1 join the same head st tog with the next (3rd from last) horn st – first right horn sts joined. [Sc 1, 2 sc into the next st] 2 times, sc 1. Start attaching left horn → hold horn so the overlap tip point towards the stitch marker and to your left – sc 1 join the next head st tog with the 8th from last horn st; sc 1 join the same head st tog with the next (9th from last) horn st – first left horn sts joined (18 sts). ​Rnd 4: [Sc 1 join the next head st tog with the nearest avail horn st, sc 1, 2 sc into the next st, sc 2, 2 sc into the next st, sc 1 join the next head st tog with the nearest avail horn st, sc 1, 2 sc into the next st] 2 times (24 sts). Rnd 5: Sc 1 join the next head st tog with the nearest avail horn st, sc 2, 2 sc into the next st, sc 4, sc 1 join the same head st tog with the nearest avail horn st – creating an inc, sc 3, 2 sc into the next st, sc 1 join the next head st tog with the nearest avail horn st, sc 2, 2 sc into the next st, sc 1, sc 3 attach a big spot, sc 1 join the same head st tog with the nearest avail horn st – creating an inc, sc 3, 2 sc into the next st (30 sts). Rnd 6: Sc 1 join the next head st tog with the nearest avail horn st, sc 3, 2 sc into the next st, sc 4, 2 sc into the next st.
​Sc join the next 5 head sts tog with the next 5 horn sts, sc 1 join the same head st tog with the last horn st – creating an inc – right horn attached. Sc 4, 2 sc into the next st, sc 1 join to spot, sc 3, sc 1 join to spot, sc 1 in the same head st – creating an inc, sc join the next 5 head sts tog with the last 5 horn sts – left horn attached. ​Sc 1 in the same head st – creating an inc (36 sts). Rnd 7: 3 sc into each of the next 2 sts, sc 16, sc 1 attach a small spot, sc 1 join next small spot st to the same head st – creating an inc, sc 1 in the same head st a third time – creating a second inc in the same head st, 3 sc into the next st, sc 4, sc 1 join to spot, sc 3, sc 1 join to spot, sc 7 (44 sts). Ears are attached over the course of 3 stitches each. Fold each ear in half so the RS are pressed together. The last 3 rnds on both layers are joined to the head. Hold the ear upside-down, flat-side-up to the BACK of work, so its WS is pressed against the RS of the head. Pull the ear tails into the head. For each joining stitch, work through 3 layers of stitches at a time, where the hook goes through the head stitch first (WS to RS – layer 1), AND then through two layers of ear stitches (WS to RS – layer 2 & RS to WS – layer 3). Once all 3 stitches are on the hook, complete the sc, hereby joining ear to head. For the right/first ear, start joining stitches from the last ear round. Work backwards along the flat side, attaching the next two layer sets of edge posts from the previous two rounds. For the left/second ear, start joining the stitches from the opposite side on the second ear round. Work forwards along the flat side, attaching the last two layer sets of edge posts that follow. Start attaching right ear → hold ear so the open end of the fold points towards the stitch marker and to your right – sc 1 join the next head st tog with the first AND last sts of the last ear rnd; sc join the next 2 head sts tog with the next 2 layer sets of ear side posts from rnds 3 & 2, respectively – right ear attached. Sc 1, sc 1 join to spot, sc 2, sc 1 join to spot, sc 7, sc 1 join to spot, sc 3, sc 1 join to spot, sc 5. Start attaching left ear → hold ear so the open end of the fold points towards the stitch marker and to your left – sc 1 join the next head st tog with the layer set of ear side posts from rnd 2 of the ear; sc 1 join the next head st tog with the layer set of ear side posts from rnd 3 of the ear (44 sts). *Note: Last left ear stitch is joined in rnd 9. Eyes are attached over the course of 5 rnds. For rnd 9 attachment, hold the eye upside-down to the BACK of work, so the RS are pressed together. Then, lift the eyes upright for the remaining attachment rounds. When only one more round of attachment remains, slightly stuff the eyes with their tails. For each joining stitch, work through 2 layers of stitches at a time, where the hook goes through the head stitch first (WS to RS – layer 1), AND then through the eye stitch (see note below – layer 2). Once both stitches are on the hook, complete the sc, hereby joining the eye to the head. Note: For the join, hook is inserted into the eye stitches from the RS to WS for the first round of attachment. After which, switch to inserting the hook from the WS to RS for the last attachment rounds. ONE MORE THING: The eyes are not a perfect circle, so I do suggest where to start attaching them. However, you can play with your eye positioning and customize which side of the eyes will be the top. Mark the top 3 stitches of each eye and attach those stitches first in rnd 9. Left eye is attached first. Using Safety Eyes? Follow the same st count over rnds 9-13. Simply ignore the directions on attaching the eyes. Instead, work one sc in place of each sc join. AND, mark stitches #8 & #16 of rnd 11. Rnd 9: Sc 1 join the next head st tog with the first AND last sts of the last ear rnd – left ear attached. Start attaching left eye → sc over the next 3 head sts as they are joined tog with the 4th, 5th & 6th eye sts (in that order unless you are changing the eye position) – first left eye sts joined. Start attaching right eye → sc over the next 3 head sts as they are joined tog with the 7th, 8th & 9th eye sts (in that order unless you are changing the eye position) – first right eye sts joined. Sc 7, sc 1 join to spot, sc 2, sc 1 join to spot, sc 8, sc 3 join rem big spot sts, sc 5, sc 2 attach a small spot, sc 1 (44 sts). Rnd 10: 2 sc into each of the next 2 sts, sc 2, *sc 1 join the next head st tog with the nearest avail eye st, sc 3, sc 1 join the next head st tog with the nearest avail eye st,** sc 1, rep from * to **, sc 7, sc 1 join to spot, sc 1 join same head st to next spot st – creating an inc, 2 sc into the next st, sc 16, sc 1 join to spot, sc 2, sc 1 join to spot (48 sts). Rnd 11: Sc 5, *sc 1 join the next head st tog with the nearest avail eye st, sc 4, sc 1 join the next head st tog with the nearest avail eye st,** sc 1, rep from * to **, sc 26, sc 1 join to spot, sc 2, sc 1 join to spot (48 sts). *Using Safety Eyes? Mark sts #8 & #16 on rnd 11, so you know where to attach them later. Rnd 12: Sc 5, *sc 1 join the next head st tog with the nearest avail eye st, sc 4, sc 1 join the next head st tog with the nearest avail eye st,** sc 1, rep from * to **, sc 14, sc 3 attach a big spot, sc 10, sc 2 join rem small spot sts, sc 1 (48 sts). The muzzle is attached over the course of the remaining 11 rnds. For rnd 13 attachment, hold the muzzle upside-down to the BACK of work, so the RS are pressed together. Stitches #29 to #22 of the muzzle are the first 8 stitches to be attached to head in rnd 13 as the final eye attachment rnd is completed. After rnd 13 is completed, lift the muzzle upright as the final rounds are worked. For each joining stitch, work through 2 layers of stitches at a time (3 layers for rnd 13), where the hook goes through the head stitch first (WS to RS – layer 1), then through the eye stitch (WS to RS – layer 2 where applicable on rnd 13 only), AND then through the muzzle stitch (see note below – layer 2 or layer 3 for rnd 13). Once both or all 3 stitches are on the hook, complete the sc, hereby joining muzzle to the head. Note: For the join, hook is inserted into the muzzle stitches from the RS to WS for the first 5 rounds of attachment. After which, switch to inserting the hook from the WS to RS for the last attachment rounds. Rnds 19-23 are decrease rounds, meaning a few head stitches decrease as the muzzle is joined. In this case, hook goes through the BL of two head stitches first, AND then through the muzzle stitches. Rnd 13: Sc 7, sc 1 join the next head st tog with the nearest avail eye st.
Start attaching muzzle as you finish attaching eyes → hold muzzle so the top 8 sts line up with the next 8 head sts – sc 1 join the next head st tog with the next eye st AND the 8th from last muzzle st; sc 1 join the next head st tog with the last eye st AND the next (9th from last) muzzle st – left eye attached. Sc over the next 3 head sts as they are joined tog with the next 3 muzzle sts; sc over the next 3 head sts as they are joined tog with the last 3 eye sts AND the next 3 muzzle sts – right eye attached + first muzzle sts joined. Sc 15, sc 1 join to spot, sc 3, sc 1 join to spot, sc 12 (48 sts). Notice how the head is crocheted in a counterclockwise manner as the muzzle is attached in a clockwise direction just like the rotation of two interlocking star pieces. Also notice how the hook is inserted into the RS of muzzle, going inwards as the muzzle is attached. Rnd 14: Sc 6, sc 1 join the next head st tog with the 2nd nearest avail (6th from last) muzzle st; sc 1 join the next head st tog with the next (7th from last) muzzle st; sc 8, sc over the next 2 head sts as they are joined tog with the 2 nearest avail muzzle sts; sc 13, sc 1 join to spot, sc 3, sc 1 join to spot, sc 12 (48 sts). Rnd 15: Sc 6, sc 1 join the next head st tog with the nearest avail muzzle st, sc 10, sc 1 join the next head st tog with the nearest avail muzzle st, sc 13, sc 1 join to spot, sc 3, sc 1 join to spot, sc 5, sc 3 attach a big spot, sc 4 (48 sts). Rnd 16: Sc 6, sc 1 join the next head st tog with the nearest avail muzzle st, sc 10, sc 1 join the next head st tog with the nearest avail muzzle st, sc 14, sc 3 join rem big spot sts, sc 5, sc 1 join to spot, sc 3, sc 1 join to spot, sc 3 (48 sts). Rnd 17: Sc 6, sc 1 join the next head st tog with the nearest avail muzzle st, sc 10, sc over the next 2 head sts as they are joined tog with the 2 nearest avail muzzle sts, sc 3, sc 3 attach a big spot, sc 15, sc 1 join to spot, sc 3, sc 1 join to spot, sc 3 (48 sts). Rnd 17 is the last rnd to be worked by inserting hook from the RS of muzzle – inwards. Rnd 18: Sc 6, sc 1 join the next head st tog with the nearest avail muzzle st, sc 11, sc 1 join the next head st tog with the nearest avail muzzle st, sc 2, sc 1 join to spot, sc 3, sc 1 join to spot, sc 14, sc 1 join to spot, sc 3, sc 1 join to spot, sc 3 (48 sts). *The sc2tog join to muzzle is used in rnds 19, 20, 22 & 23. The sc2tog join to spot used in rnds 20 & 21 is done the same. Rnd 19: Work ALL sc2tog in BLO → sc 2, sc 2 attach a small spot, sc 2, sc2tog join the next 2 head sts tog with the nearest avail muzzle st – creating a dec; sc 6, sc2tog, sc 2, sc 1 join the next head st tog with the nearest avail muzzle st; sc 2, sc 1 join to spot, sc2tog, sc 2, sc 1 join to spot, sc 3, sc2tog, sc 6, sc2tog, sc 1, sc 3 join rem big spot sts, sc 2, sc2tog (42 sts). Rnd 20: Work ALL sc2tog in BLO → sc 1, sc 1 join to spot, sc 2, sc 1 join to spot, sc2tog join the next 2 head sts tog with the nearest avail muzzle st – creating a dec; sc 5, sc2tog, sc 2, sc 1 join the next head st tog with the nearest avail muzzle st; sc 2, sc2tog join the next 2 head sts to next spot st – creating a dec, sc 3, sc 1 join to spot, sc 1, sc2tog, [sc 5, sc2tog] 2 times (36 sts). Rnd 21: Work ALL sc2tog in BLO → sc 1, sc 1 join to spot, sc 2, sc2tog join the next 2 head sts to next spot st – creating a dec, sc 1 join the next head st tog with the nearest avail muzzle st; sc 3, sc2tog, sc 2, sc 1 join the next head st tog with the nearest avail muzzle st; sc 1, sc2tog, sc 3 join rem big spot sts, sc 1, sc2tog, [sc 4, sc2tog] 2 times (30 sts). Rnd 22: Work ALL sc2tog in BLO → sc 2, sc 1 join to spot, sc2tog join the next 2 head sts to rem small spot st – creating a dec, sc 1 join the next head st tog with the nearest avail muzzle st; sc 2, sc2tog, sc 3, sc2tog join the next 2 head sts tog with the nearest avail muzzle st – creating a dec; [sc 3, sc2tog] 3 times (24 sts). Rnd 23: Work ALL sc2tog in BLO → sc 2, sc2tog, sc over the next 2 head sts as they are joined tog with the next 2 muzzle sts, sk 1 muzzle st, sc2tog join the next 2 head sts tog with the nearest avail muzzle st – creating a dec; sk 1 muzzle st, sc over the next 2 head sts as they are joined tog with the next 2 muzzle sts – muzzle attached, sc2tog, [sc 2, sc2tog] 3 times, sl st join to the first st of rnd, f/o (18 sts). After every few stitches, pull tight. But before you sew the opening closed completely, stuff the giraffe’s neck a little bit more. Finish sewing the opening closed. Tie off. Weave in all remaining ends. ​Multiple Languages Available - DOWNLOAD Part 6 NOW!!! ​DOWNLOADS BEGIN AUTOMATICALLY: Just Click on Your Favourite Button. Join me tomorrow (Tuesday, April 25th, 2017) at 3:00 P.M. (EST) for FACEBOOK LIVE on my business page, Rebeckah's Treasures. There, you can ask questions about the Otis Giraffe CAL and share your ideas and get support... And feel free to ask me questions about me too as you like! Hashtag #OtisGiraffeCAL, when sharing across social channels. Tag my user @beckastreasures via Instagram or Twitter. 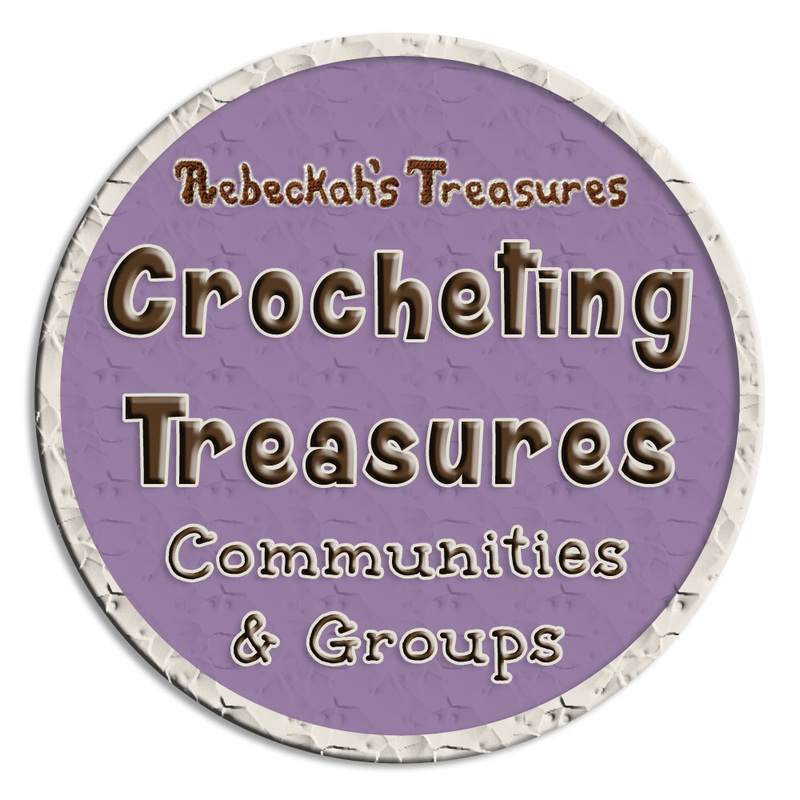 JOIN Crocheting Treasures on Facebook, Ravelry or Google+. Upload your progress to Ravelry. JOIN the CAL – Crochet A Long Facebook Group. They're co-hosting this CAL as part of a larger amigurumi crochet along. Make sure you're a member, then JOIN the event here! JOIN my Facebook Page Event for Otis the Giraffe too! If you need support or help at any step, just reach out to me! Share your completed giraffe with a link to the Otis Giraffe CAL. 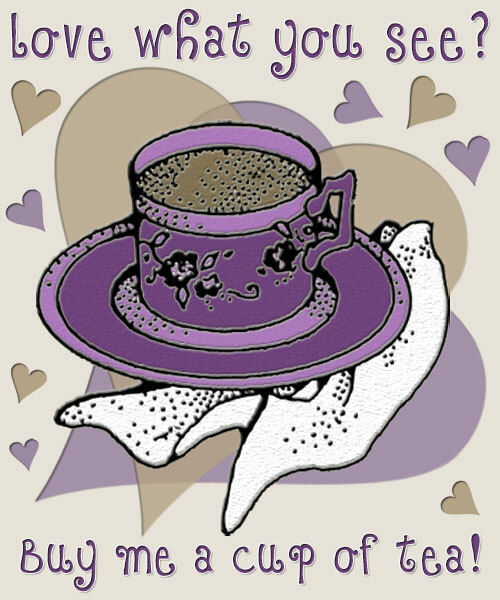 Send a donation - Buy me a cup of tea - thanks ever so much! Sign Up for my EMAIL Newsletter! 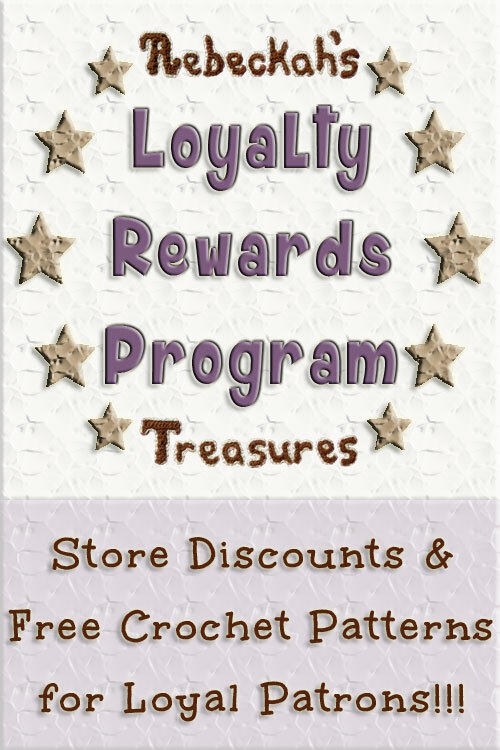 I send out 2 newsletters a month with blog updates and special freebies, games and discounts. It's a lot of fun! Plus, you can get updates for this Otis Giraffe CAL too right to your inbox. If you sign up below, you'll get added to both lists and may change your subscription at any time. ​HEART Otis Giraffe crochet pattern on Ravelry! Comment on this blog and on the videos for the CAL. ​Wishing you an extraordinary day!